This toy is a train that was handmade for my grandfather by my great grandfather. 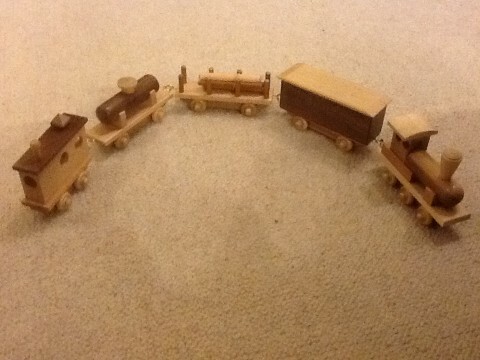 My Grandfather enjoyed playing with this train so much that he made toys wooden toys for his grandchildren; in order to share this connection. Though presently all his grandchildren are too old to play with toys, we all still have them. Now the toys my grandfather makes are for charity.